CSK won the toss in the game against SRH and have elected to bat first. The Big news is that, Suresh Raina will be leading the side in the absesnce of MS Dhoni for CSK. MS Dhoni has looked in discomfort in the last two games as we saw him struggle with his back. That could possibly be the reason for him missing out. Suresh Raina at the toss said that Dhoni is getting better and that he just wanted to take some rest. Dhoni is expected to comeback in the next game according to Raina. Sam Billings will come into the line up and will be the wicketkeeper for today. Another change is that, Karn Sharma will be playing his first game in this IPL in place of Santner. This page contains news relating to various facts and events. The views are generally about current affiars and general topics in diversified areas such as political, international, national, and regional issues, sports, health, travel, lifestyle, technology and business. People having similar interets on the above topics will find this page useful. 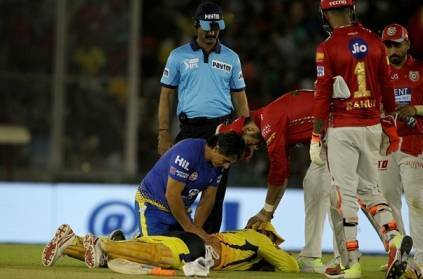 MS Dhoni will miss the match against SRH due to injury | Sports News.